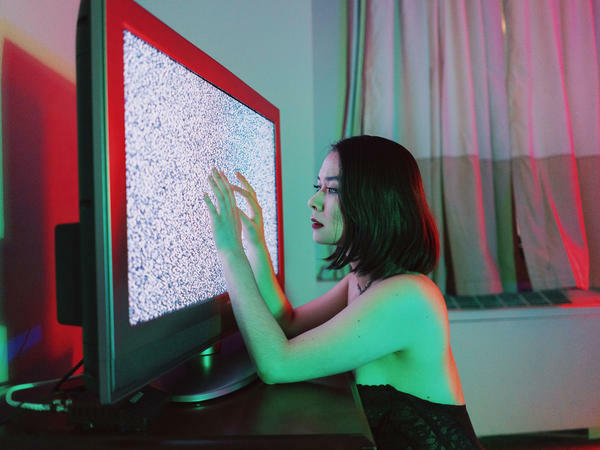 Mitski's Be The Cowboy is on our shortlist for the best albums out on Aug. 17. New Music Friday returns from a two-week break with some of 2018's most anticipated releases, including Death Cab For Cutie's Thank You For Today, Mitski's Be The Cowboy, Ariana Grande's Sweetener and more. All Songs Considered's Robin Hilton is joined by NPR Music's Ann Powers, Lars Gotrich and Stephen Thompson to talk about these and other essential albums being released on Aug. 17. Featured Song: "The Light Is Coming"
Featured Song: "Airpipe (To A New Transition)"
Featured Song: "Me And My Husband"
Featured Songs: "Heat" and "Bloom"
Featured Song: "Apparition (Feat. haley Fohr)"